This article reviews how to set up your Zentail integration with ShipStation to include the Channel Name and Channel Order ID on the orders that Zentail sends into ShipStation. Note: If you are already using these Custom Field 1 and Custom Field 2 on ShipStation for other purposes, you may want to consider whether enabling this feature would work for your workflow. On your Zentail Integrations card for ShipStation, you can configure your connection to allow Zentail to send the Channel Name and the Channel Order ID into ShipStation. These values will be sent to ShipStation in "Custom 1" and "Custom 2" fields on ShipStation. The information in this section is cited from the ShipStation Help Center article How can I save my order view? You can have up to five order views, including "All", and can create different ones for each status you have. You can edit these by scrolling over the view title. A small gear will show, and you can click on this to make it your default view, rename it, duplicate it, or delete it. The default view can be different for each user you have. The information in this section is cited from the ShipStation Help Center article How can I add order information to my labels? ShipStation provides the option to add up to three 26-character messages to your labels. 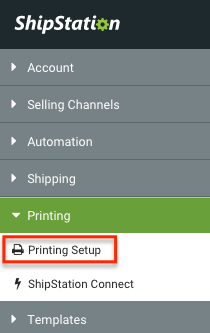 These Label Messages can be configured in your Settings > Printing > Printing Setup screen. 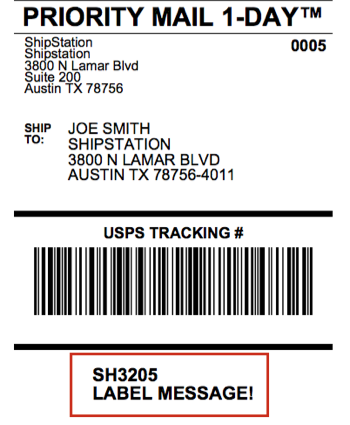 ShipStation also provides a set of standard field replacements so you can have order specific information printed on each label. Keep in mind, different carriers will print label messages according to their own proprietary format. Once there, click on the Document Options for Labels. Look for the Label Messages section, like you see in the picture below. When you've finished customizing your labels, make sure to click the Save Changes button. Field replacements with #1, #2, and #3 refer to item-level field replacements and will show only up to the first three items on the order's items. Label messages are global, meaning ShipStation will print label messages on all labels that support them. They cannot be customized per store or per carrier. Some carriers and services do not support printing custom label messages on their labels, including (but not limited to): UPS Mail Innovations, FedEx SmartPost, USPS First Class Letter and UPS international.